I just returned from vacation and a much needed rest. Most people try to forget their business and problems while away and just relax. So where did this "Haunted Author" go to get away from it all? To a shore resort in New Jersey that is considered one of the most haunted places on Earth-Cape May! Of course! 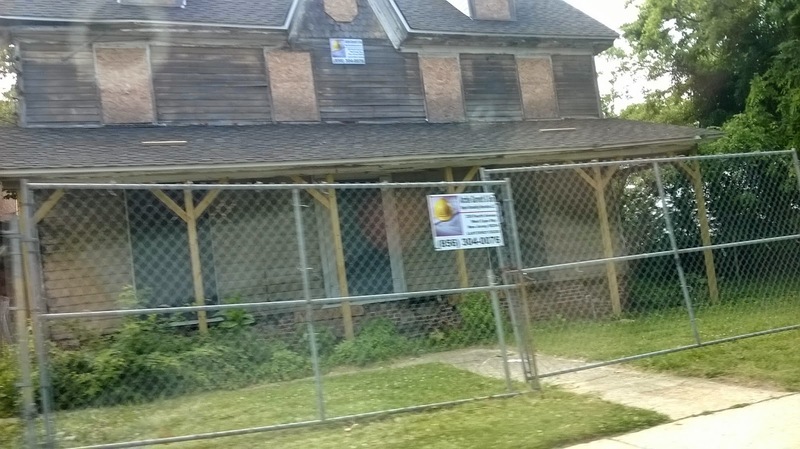 A long abandoned Victorian building we have passed in by in Cape May for years. It finally has been boarded up, fenced in and is going to be restored. Hopefully it doesn't come with ghosts-but who knows? 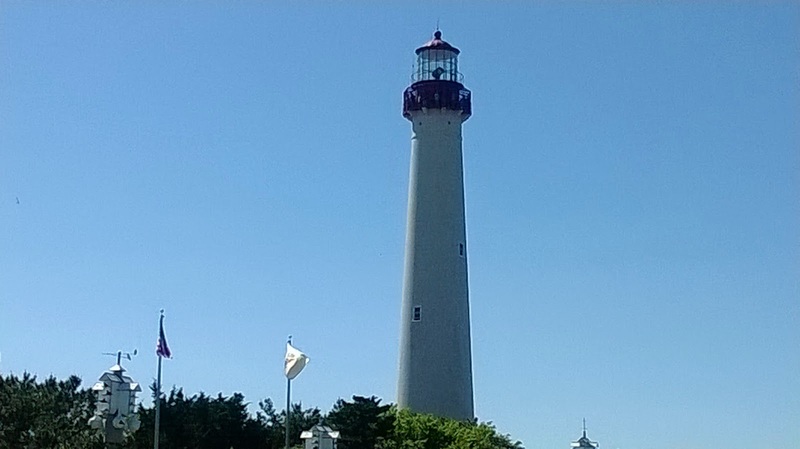 Now I have been going to Cape May on vacation for many years and am aware of it's long, colorful and interesting history. The early Delaware Indians fished and hunted along the coastal for centuries. In 1620 the Dutch sea Captain Cornelius Mey who was sailing along the Delaware Bay discovered the peninsula and named the area after himself-(later changed to May), and early New England whalers made their way to the area. 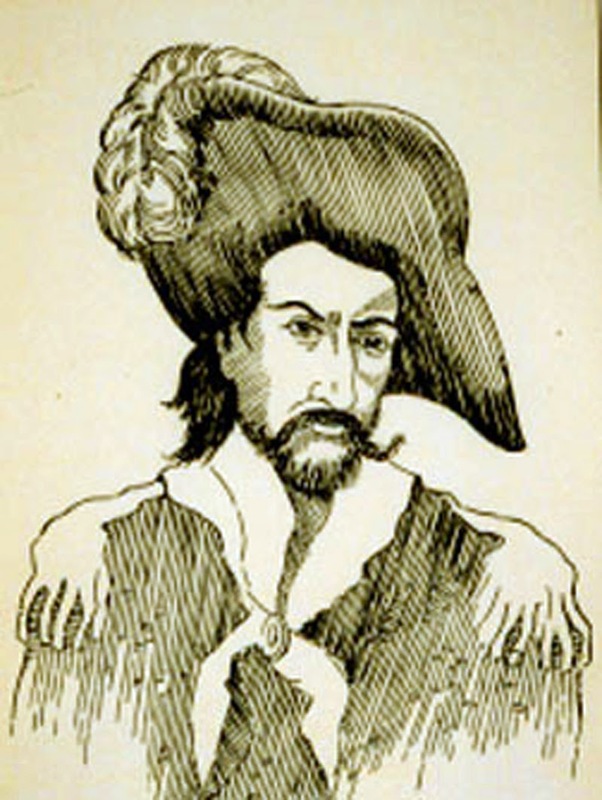 Cape May also became a popular site for pirates and among them the notorious pirate Captain Kidd who is known to have stopped off in Cape May during his pirating/privateer days. 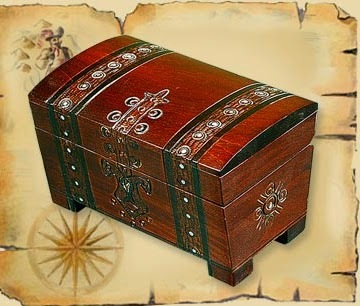 There are even rumors that Kidd buried his treasure in Cape May prior to his eventual demise at the end of a hangman's noose. 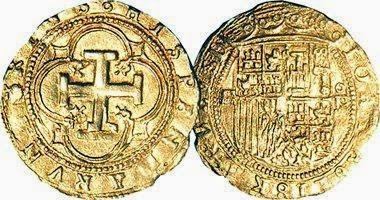 How many times have I walked on the beaches here thinking that one day to find a gold doubloon washed up on the sand from his lost treasure hoard! In 1761 Cape May officially became the first seashore resort in America and was considered among the top vacation resorts in the country. Many wealthy families from Philadelphia originally built their large, impressive homes here to spend their summers (to get out of the oppressive hot city) for the last 200 years. In fact, the former actress and native of Philadelphia Grace Kelly, later the Princess of Monaco, vacationed here with her family while growing up. But it never occurred to me while passing these beautiful examples of Federal and Victorian mansions on the many tree lined streets that there was more was going on behind the lace curtains than meets the eye. 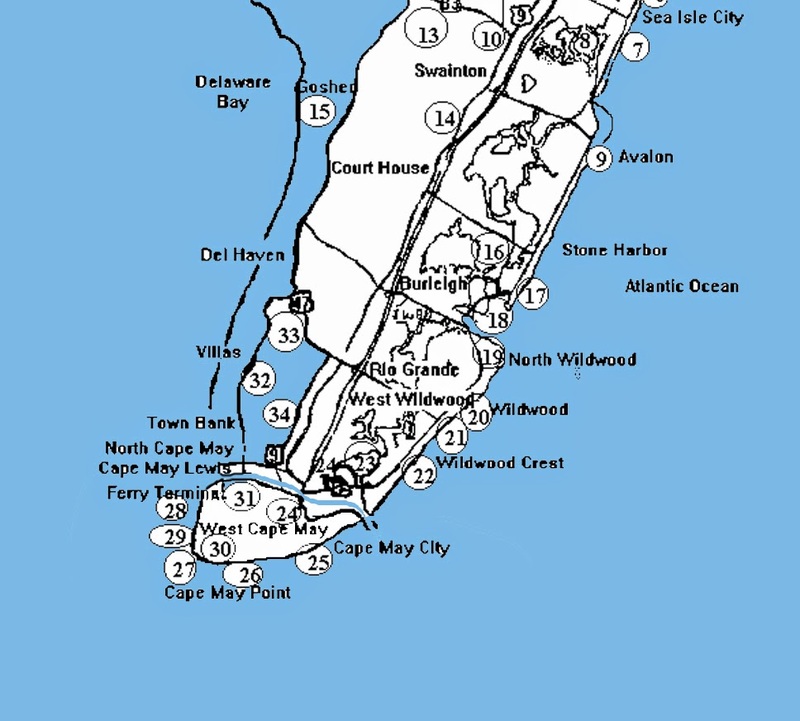 It's only recently that Cape May has gotten national attention as a place where the early residents loved their town so much that they many never left! Even after they died! 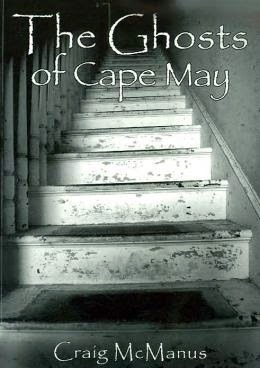 It was in 2005 that the author, Craig McManus first wrote his first in a series of 3 books on the ghostly haunting in Cape May that has apparently been going on for centuries. The stories from eye witnesses who owned many of the old homes (turned into Bed & Breakfasts) were so numerous that it lead him to interview, research and experience some of the paranormal activity himself. His books present the wonderful back story and history of the houses he's visited and verifies many of the ghostly past residents he's encountered with the local historian. Craig had an advantage that many writers don't have and that is that he is also a psychic medium. His books: The Ghosts of Cape May Books 1,2,3 have become so popular that it has sprouted a cottage industry for Ghost tours year round. (FYI-I recommend his books solely on my personal reading experience. I receive no endorsements or compensation by the author by mentioning his books). "The Congress Hall Hotel.. where people check in and some never check out!" 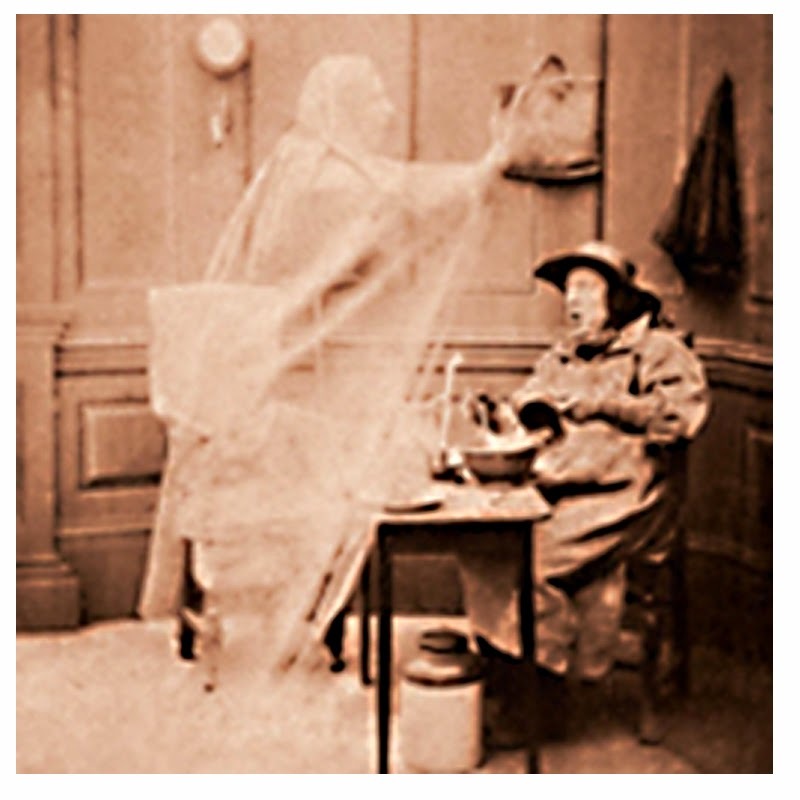 It seems that ghosts are good for business in the 21st century! But why is Cape May such a haunted area? Geographically speaking Cape May is "perfect storm" (please excuse the pun) for paranormal activity. Located on 3 sides with bodies of water (the Atlantic Ocean on 2 sides and the Delaware Bay of the other) it is only 2.7 square miles big but with huge amounts of quartz crystal deposits found on it's beaches. 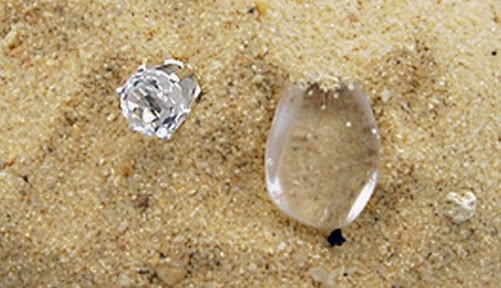 The furthest southern tip of the peninsula -Sunset Beach- is made up entirely of smooth quartz pebbles where many find the famous Cape May Diamonds (small clear pure quartz crystals made into beautiful jewelry). The theory is that these are factors for conducting large amounts of energy and thus high concentrations of unusual and paranormal activity in this unique and confined area. Cape May has a long history of natural disasters and human tragedy which no doubt adds to the allure that it is very haunted. There are numerous ship wrecks off the peninsula and imagine the many sailors who lost their lives mourned by their families and widows. The many violent storms that have hit this sandy coast is witnessed by the tall and guiding beam of the famous Cape May Lighthouse and that too is said to be haunted. 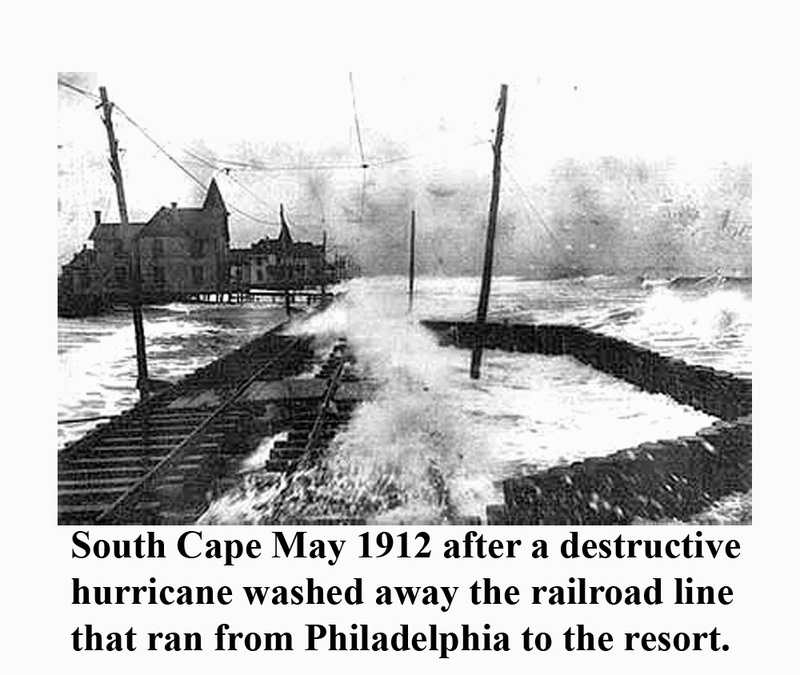 Whole towns washed away during devastating hurricanes in the late 1800's with South Cape May literally vanishing into the ocean in the early 1900's. 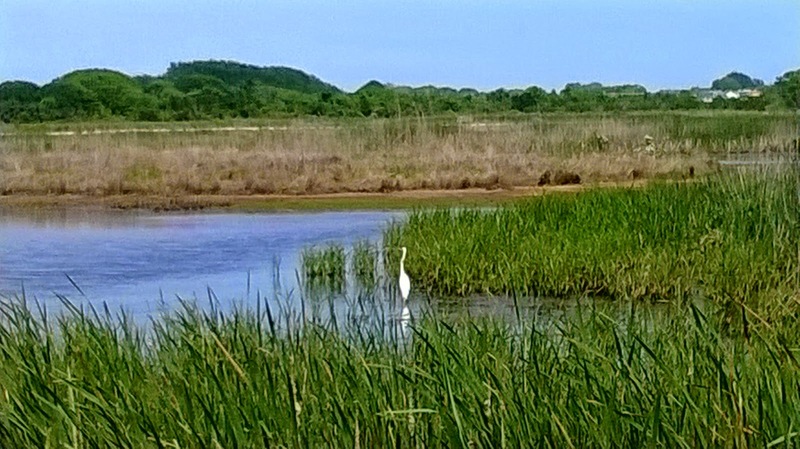 (now the site of a wildlife bird sanctuary). In 1905, a local newspaper carried the story of a young man walking home on the South beach after a New Year's Eve party and who reported having a frightening experience. While walking by the structural remains of a home that had been recently ravished by a storm, he heard the mournful cries of a person calling for help. He looked up to see a whitish figure wildly gesturing with their hands standing at a broken window on the second story. The young man stood frozen in fear as the ghastly spectral image again screamed for help all the while frantically moving its arms. Thinking someone was trapped in the house, he turned to go in the direction for help. But suddenly a huge gust of wind churned up around him and everything became quiet. The young man looked back at the house that now stood silent, dark and empty. No one stood at the window. Scared, he threw several pebbles at the window further breaking its glass and then ran as fast as he could to the open road! Just what did the young man see? 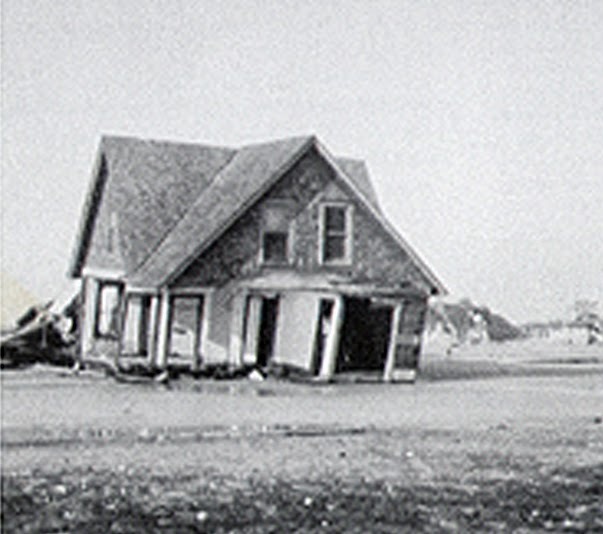 Several horrific fires like the great 1878 fire that destroyed 31 blocks of Cape May didn't keep the ghosts from relocating. The fire swept through the wood built Federal style homes and hotels and turned them into ashes in a matter of a few hours. However, the town rebuilt itself within a year and the new buildings that went up were built in the modern style of the day...later known as the Victorian style. 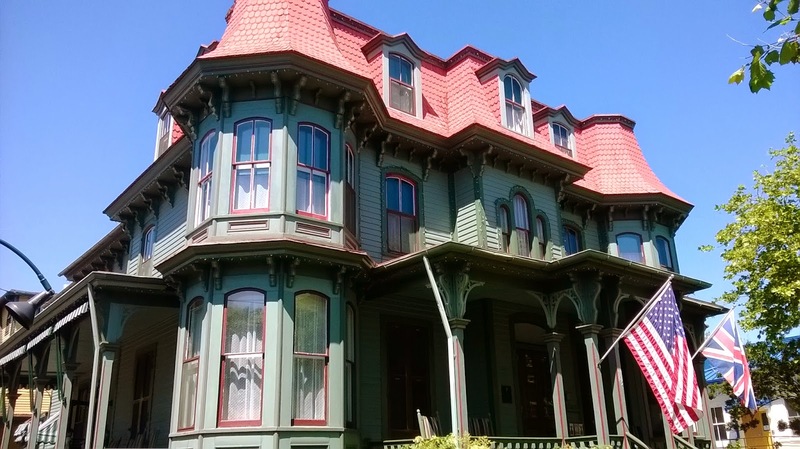 This explains the huge concentration of late 19th century dwellings in Cape May today...everything from Gothic Revival to Queen Anne design...all part of the country's Victorian era. 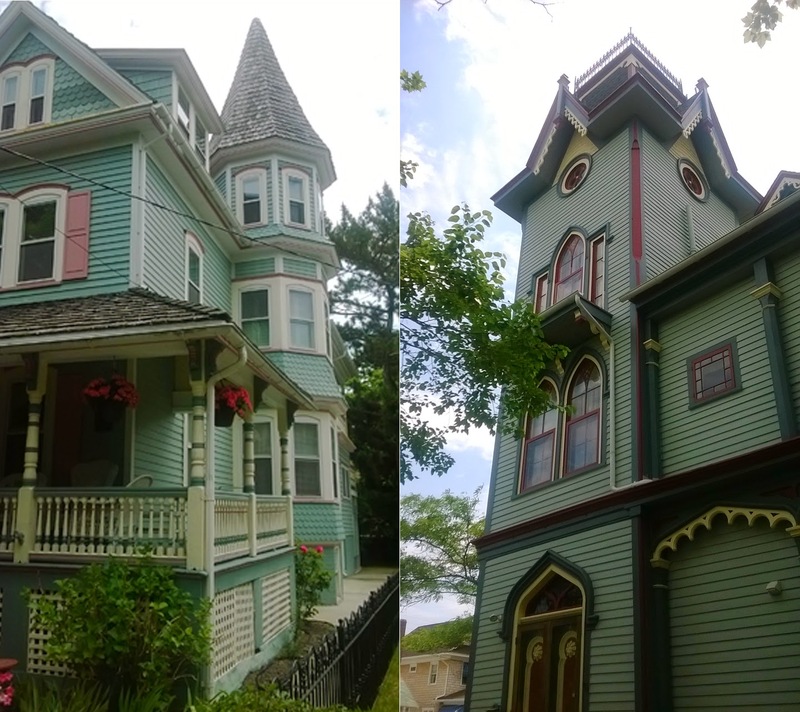 These "painted ladies" are known for fancy gables, gingerbread trim, stained glass windows and turrets. They also hold many secrets of their departed owners, who make their presence known today, in their fancy towers. **Next week take a tour with me as we discover some of the most famous haunted houses of Cape May and where it seems death is always on holiday!